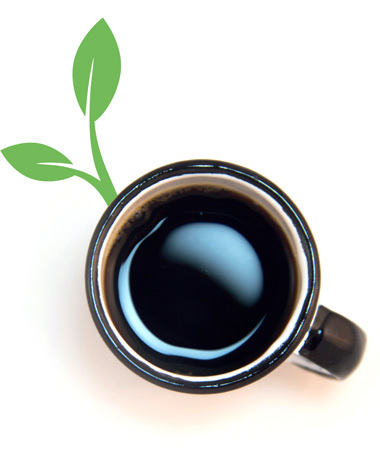 BIODEGRADABLE COFFEE CAPSULE IN THE WORLD! TIGHT COFFEE CAPSULE IN THE WORLD! coffee capsules in the world! This offers significant advantages, especially in economic terms. e.g. for coffee, of more than 12 months. Through the use of our biodegradable seal paper, the Terracaps biocapsule is completely free from aluminium! This ensures that the biocapsules require no further outer packaging. protecting the environment, but to also optimise and reduce your production processes at the same time. allowing you to save not only on space but also on costs. quality of their product, for example, in the case of tea or coffee. energy generated from wind, sun, hydropower and biogas. This sends out an important and positive message, especially for the consumer. an important contribution towards environment and climate protection. The Terracaps® biocapsule is since December 2017 certified as OK COMPOST by TÜV Austria/ Vincotte. which has a renewable raw materials content of at least 62%. The technical additives are also biodegradable and environmentally friendly. the biocapsules in a sustainable and environmentally friendly manner. and fill the biocapsules in the same country. ongoing improvement of our products. market so that we are able to promptly modify the biocapsule where necessary. Terracaps® will be delighted to develop and produce your own customised biocapsule which is tailored to your individual requirements. Due to our many years of experience in development, design, production and implementation, Terracaps® is able to offer our customers a complete and stress-free package. Copyright © 2019 Terracaps®. All Rights Reserved.